Adin and Dina are best friends who love to plant cherry stones around their little village in the countryside. Then one day Adin and his family move away to the city. Will their friendship survive the new distance between them? Adin and Dina are best friends. They live in the beautiful countryside surrounded by cherry trees. Their favourite game is to plant cherry stones around their little village -- in the cracks in the pavement and in the flowerbeds outside the post office. Then one day Adin and his family move away to the city. Will Adin and Dina's friendship survive the new distance between them? In this beautifully lyrical book, one story fractures into two when the friends are parted. But their lives continue to be linked as Adin finds a way to feel connected to his friend -- throwing paper planes filled with cherry stones from the balcony of his tower block. 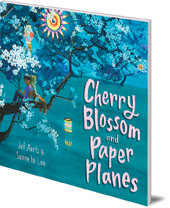 Held together by their love of cherry blossom and paper planes, Adin and Dina's roads finally lead back to one another. 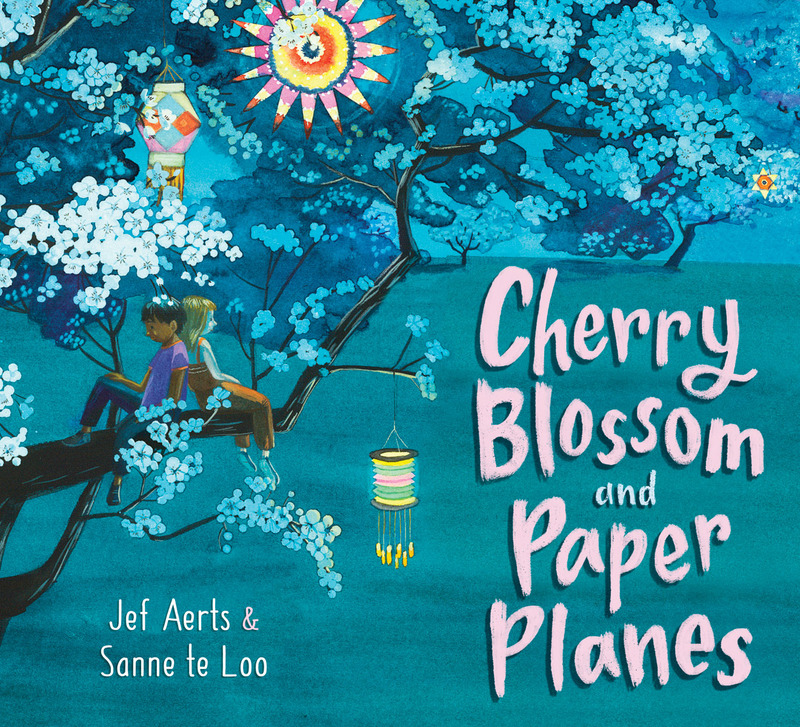 Cherry Blossom and Paper Planes is a touching story of true friendship, resilience, belief -- and a little bit of magic -- illuminated with stunning artwork full of seasonal detail, light and hope. Jef Aerts is a Belgian author of children's books, novels and poetry. He has been praised as a master storyteller and his books have won numerous prestigious literary prizes. Jef worked with renowned illustrator Marit Törnqvist on the picture book Bigger Than a Dream and his books have been translated all over the world. Jef has three children and lives in a small farm with lots of animals. Sanne te Loo is a Dutch illustrator who has been creating children's books for over ten years. She has illustrated texts for authors including Paul Biegel and Sjoerd Kuyper, and has received several awards for her work.